Sensation prevailed in the entire area after the body of a 20-year-old girl was recovered from a rented apartment at Bharalumukh area of Guwahati on Monday night. The victim has been identified as Sweta Agarwalla. 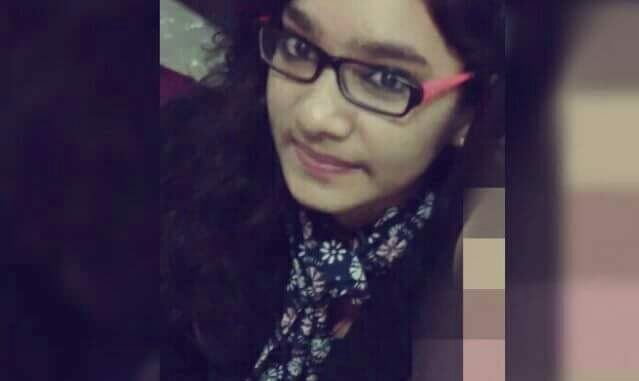 The completely charred and mutilated body of this meritorious student from KC Das Commerce College was recovered under mysterious condition from the rented house of her friend in the area. Police recovered the body from the rented house of one Govind Agarwal belonging to lawyer J P Mazumdar near Shantipur. According to sources, the girl had come to his friend’s place at around 1 pm on Monday after. Later seeing fire and smoke billowing out of the house, locals informed the Bharalumukh Police Station. When police arrived at the scene immediately, they could only recover Sweta’s totally charred and mutilated body. Though she was rushed to the hospital, doctors had declared brought dead. Police told that the body was smelling of kerosene. Meanwhile, Sweta’s friend has been arrested and interrogation is on. Sweta was a brilliant student who had topped the Higher Secondary examination in the Commerce stream two years back. She was presently pursuing her B. Com in Commerce at KC Das Commerce. Sweta hailed from Manipuri Basti in the city and was the daughter of one Om Prakash Agarwalla. While the accused, Govind is the son of one Radheshyam Agarwal who is presently in Jaipur on business purpose. Meanwhile, top police officials and sleuths from the Criminal Investigation Department have begun investigation into the incident even as the entire case is mirred in mystery. On the other hand, Sweta’s father has alleged that Govind had kidnapped his daughter and murdered her.